1 What is Beta Sitosterol? Here are 5 reasons that you should consider taking Beta Sitosterol if you are suffering from hair loss. Are you looking for a natural way to treat hair loss, so you don’t have to rely on drastic treatments such as hair plugs, or even worse, wearing a wig or a toupee? You don’t have to be embarrassed any longer about thinning hair, because there are a variety of treatments available to treat this problem, including making changes to your diet. There are many nutrients we need to have in our diets that can actually help to treat hair loss, and we get these naturally from the foods we eat. One of these nutrients is Beta Sitosterol. This is a natural plant extract that is loaded with many of the properties needed to help treat hair loss and promote healthy hair growth. It is also important for our health in general. Beta Sitosterol is a phytosterol or plant sterol is similar to cholesterol in chemical structure. This similarity is the main reason Beta Sitosterol is used clinically in lowering cholesterol since it competes with it in the intestine and reduces the overall absorption of cholesterol. Aside from its usefulness in reducing high cholesterol levels, Beta Sitosterol is also used in the treatment of heart disease, BPH (benign prostate hyperplasia) and also for boosting the immune system. It has also been found useful in the management of colon cancer, cervical cancer, HIV/AIDS, tuberculosis, rheumatoid arthritis, common cold and catarrh, lupus, fibromyalgia, gallstones, asthma, bronchitis, migraine, allergies, psoriasis and hair loss. 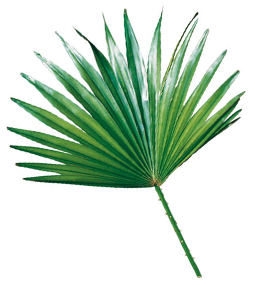 Although Beta Sitosterol is found all over the plant kingdom, it is most recognized as the active ingredient in saw palmetto. Other plants from which Beta Sitosterol can be derived include pumpkin seed, avocado, rice brain, cashew, wheat germ, soybeans and corn oils. Other dietary sources of this plant sterol include food products like margarine. # 1 -- Beta Sitosterol is one of the least expensive ways you can treat hair loss, and it is all natural with no negative side effects to be concerned about. Not only is Beta Sitosterol an affordable treatment for hair loss, it has been shown to work in clinical studies and also provides other benefits such as boosting the immune system, lowering blood cholesterol levels and relieving inflamed prostates. 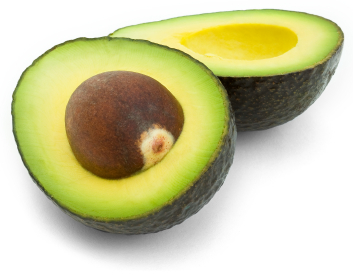 # 2 -- Beta Sitosterol can help many men see hair regrowth within five months. Some have even reported faster onset of hair regrowth. 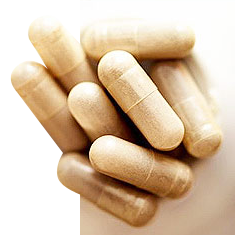 Overall, user testimony has offered positive affirmation that Beta Sitosterol works. People who take longer to see the first signs of hair growth are those who have been bald for years. Those whose hairs were just thinning saw the regrowth a few weeks after starting on Beta Sitosterol. A study was done with two groups of men. One group took Beta-Sitosterol, while the other group took a placebo. The men who took the Beta Sitosterol showed a 60% hair regrowth, proving that this is indeed an excellent way to treat hair that is thinning or unhealthy. # 3 -- Beta Sitosterol is safe to use. Because it is natural, it is perfectly safe for men and women who are suffering from hair loss, and it can be used every day. The few side-effects of Beta Sitosterol are mild and most of them resolve over time. One of the great things about Beta Sitosterol is that it does not seem to react with other drugs, so it can be safely used in conjunction with other medications that you may be taking, and you won’t have to worry about any negative reactions. # 4 -- Many hair loss treatment products are not always safe for women to use. Women who have thinning hair often have very few options when it comes to treatments, but Beta Sitosterol is safe for men and women and can be used by anyone who has problems with hair loss. # 5 -- Not only will it help to treat hair loss, it will also help to ensure that new hair growth is healthy. This is going to do a lot to improve your appearance, and your self-confidence, which can be affected by hair loss. Even though there are few clinical studies about Beta Sitosterol and its effect on hair loss, the supporting evidence for its use in the treatment hair loss derives from studies done on saw palmetto. A randomized, placebo-controlled study found that Beta Sitosterol and saw palmetto were successful for the treatment of Alopecia caused by elevated androgen levels in men. This double-blind study involved nineteen men in two groups. One group got soft gel placebos while the other got matching soft gels with 50 mg Beta Sitosterol and 200 mg saw palmetto extract. One soft gel was taken twice daily and the study ran for four and a half months. Comparison of the men’s hair growth to the baseline showed that 60% of those receiving the plant extract and phytosterol showed improved hair growth while only 10% of the control showed similar improvements. This and other studies have established that not only does Beta Sitosterol stop hair loss, it also promotes hair regrowth. Since Beta Sitosterol is the active agent in saw palmetto, it is right to say it reverses hair loss. It is believed that this plant sterol inhibits the enzyme 5-alpha reductase. This is the enzyme responsible for the conversion of testosterone to DHT (dihydrotestosterone). DHT is hormone long established to be responsible for hereditary hair loss in men and women. Beta Sitosterol and saw palmetto are two ingredients in our hair loss product Advecia. Beta Sitosterol is available as a plant extract and constituent of some natural hair loss remedies. It is also available in oral forms, mostly as capsules, and other configurations. Some formulations contain only Beta-Sitosterol, some combine it with saw palmetto extracts and others use it in a phytosterol complex usually with campesterol and stigmasterol. While there is no standard dosage for Beta-Sitosterol supplementation, different experts have established positive results with daily doses between 60 mg and 350 mg. A daily maximum of 5000 mg is considered safe. Supplementation with Beta Sitosterol can take as long as 12 months before positive outcomes of hair regrowth are seen. However, many users report oily, itchy scalp in the first couple of weeks which is a definitive sign of improved hair growth or the start of regrowth. 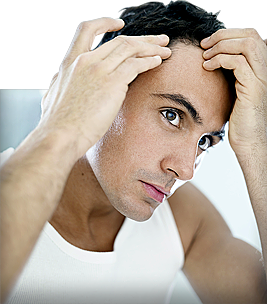 Generally, the onset of hair regrowth is seen to be directly related to the stage of hair loss. Those who are just experiencing hair loss see improvements faster while those bald already need to stay on the supplement for longer to see the first signs of hair regrowth. Beta Sitosterol is a safe supplement with few, mild side effects. Reported side effects include nausea, heartburn, indigestion, diarrhea, constipation, gas, and increase or decrease in libido. Since there is not enough clinical data for use during pregnancy and breastfeeding, women should avoid Beta Sitosterol as those stages. Beta Sitosterol is contraindicated in people suffering from sitosterolemia. This is a rare, hereditary disorder in which fats are preferentially stored. Such people would only add to the fat store in their bodies, and then get all the more bloated. In addition, excessive blood levels of Beta Sitosterol increases the risk of cardiovascular events in men suffering from heart disease. Many other health issues can be helped by Beta Sitosterol. This is a popular and effective treatment for those who are seeking natural ways to treat their hair loss. Beta Sitosterol can benefit your overall health, and help you to have healthy hair. What more could you ask for? If you are starting to notice hair loss, it is important to start treatment as soon as possible. The sooner you begin treating the problem, the better the treatments are going to work. You may also want to check out online hair loss forums such as hair loss talk, hair loss help, and others to get as much information as you can.